23/08/16 CONVENIO DE TRASPASO DE RECURSOS ENTRE EL MINISTERIO DE ECONOMÍA Y FINANZAS Y LA MUNICIPALIDAD PROVINCIAL DE CANGALLO. 813 – 2016 30/06/16 CONVENIO DE TRANSFERENCIA DE RECURSOS PÚBLICOS ENTRE EL MINISTERIO DE VIVIENDA, CONSTRUCCIÓN Y SANEAMIENTO Y LA MUNICIPALIDAD PROVINCIAL DE CANGALLO. 824 – 2016 30/06/16 CONVENIO DE TRANSFERENCIA DE RECURSOS PÚBLICOS ENTRE EL MINISTERIO DE VIVIENDA, CONSTRUCCIÓN Y SANEAMIENTO Y LA MUNICIPALIDAD PROVINCIAL DE CANGALLO. 15/04/16 CONVENIO DE COOPERACIÓN INTERINSTITUCIONAL DE TRANSFERENCIA DE PARTIDAS PRESUPUESTARIAS DEL MINISTERIO DE AGRICULTURA Y RIEGO Y LA MUNICIPALIDAD PROVINCIAL DE CANGALLO – C10L2 003. 268 – 2016 08/04/16 CONVENIO DE TRANSFERENCIA DE RECURSOS PÚBLICOS ENTRE EL MINISTERIO DE VIVIENDA, CONSTRUCCIÓN Y SANEAMIENTO Y LA MUNICIPALIDAD PROVINCIAL DE CANGALLO. 176 – 2016 06/04/16 CONVENIO DE TRANSFERENCIA DE RECURSOS PÚBLICOS PARA LA EJECUCIÓN DEL PROYECTO DE INVERSIÓN PÚBLICA ENTRE EL MINISTERIO VIVIENDA, CONSTRUCCIÓN Y SANEAMIENTO Y LA MUNICIPALIDAD PROVINCIAL DE CANGALLO. 28/03/16 CONVENIO DE COOPERACIÓN INTERINSTITUCIONAL ENTRE EL PROGRAMA NACIONAL CONTRA LA VIOLENCIA FAMILIAR Y SEXUAL DEL MINISTERIO DE LA MUJER Y POBLACIONES VULNERABLES Y LA MUNICIPALIDAD PROVINCIAL DE CANGALLO. 23/03/16 CONVENIO DE TRANSFERENCIA FINANCIERA DE LA MUNICIPALIDAD PROVINCIAL DE CANGALLO A FAVOR DE LA ASOCIACIÓN DE PROD. AGROP. Y ARTESANOS PACCHA YURACC CRUZ QUISPILLACTA – CHUSCHI. 29/02/16 CONVENIO DE GESTIÓN ENTRE EL MINISTERIO DE DESARROLLO E INCLUSIÓN SOCIAL Y LA MUNICIPALIDAD PROVINCIAL DE CANGALLO, PARA LA GESTIÓN DEL PROGRAMA DE COMPLEMENTACIÓN ALIMENTARIA DURANTE 2016. 15/02/16 CONVENIO DE COOPERACIÓN INTERINSTITUCIONAL ENTRE LA COOPERACIÓN FINANCIERA DE DESARROLLO S.A. Y LA MUNICIPALIDAD PROVINCIAL DE CANGALLO. 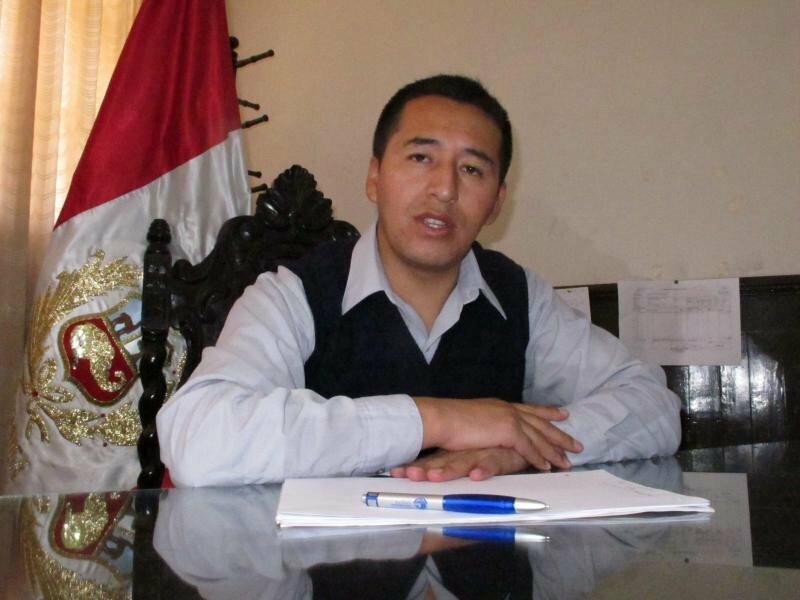 13/01/16 ADDENDUM AL CONVENIO DE FINANCIAMIENTO POR DONACIÓN CON CARGO PARA LA EJECUCIÓN DE PROYECTO DE INFRAESTRUCTURA SUSCRITO ENTRE LA MUNICIPALIDAD PROVINCIAL DE CANGALLO Y FONDO CONTRAVALOR PERÚ ALEMANIA. 12/01/16 CONVENIO DE FINANCIAMIENTO POR DONACIÓN CON CARGO PARA LA EJECUCIÓN DE PROYECTO DE INFRAESTRUCTURA SUSCRITO ENTRE LA MUNICIPALIDAD PROVINCIAL DE CANGALLO Y FONDO CONTRAVALOR PERÚ ALEMANIA. 07/01/16 CONVENIO INTERINSTITUCIONALENTRE EL INSTITUTO DE EDUCACIÓN SUPERIOR TECNOLÓGICO PÚBLICO MANUEL ANTONIO HIERRO POZO Y LA MUNICIPALIDAD PROVINCIAL DE CANGALLO. 05/01/16 ACTA DE COMPROMISO SUSCRITO ENTRE LA MUNICIPALIDAD PROVINCIAL DE CANGALLO Y LA COMISARIA DISTRITAL DE CHUSCHI.